Birdsong is the world’s finest music. Yet in New Zealand, where birds are regarded as taonga or precious things, a unique ecological conundrum exists. For an estimated 70 million years, New Zealand was isolated by water from the rest of the world, and its birds evolved free from predator mammals. 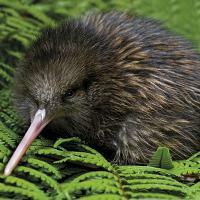 As a result, many of New Zealand’s birds, including the iconic kiwi, lost the ability to fly. Unfortunately, predators such as rats, possums, and stoats have gradually been introduced and are increasing. As a result, New Zealand’s vulnerable native bird species are endangered or in decline. One of the many challenges is that bird predators in New Zealand, say a rat, tend to be small, fast, and hard to identify by the detection methods that typically work for larger mammals. The Cacophony ecosystem currently includes the Cacophonometer, an audio recorder app onAndroid mobile phones that are deployed into New Zealand's native bush. Equipped with a thermal camera, speakers, and sensors, the device periodically wakes up, makes a short recording, and uploads that recording to an API server where it can be analyzed. The base hardware is a Raspberry Pi 3 and software is a combination of Go and Python code. The hope is that machine learning can more efficiently and accurately identify and classify predators across a wider area. Is this creature something to get rid of to protect the birds here or is it a friend? The organization is very much in startup mode. "We have a vision of where we want to be, we don’t know how we’re going to get there but we’re trying lots of things and we’re failing fast all the time. It’s very iterative. We’re constantly trying out something, falling back to plan b, plan c so it’s very much the way we’re operating at the moment," said Menno Finlay-Smits, Project Manager and Lead Developer at the Cacophony Project, in a presentation, Taking technology to the birds, at linux.conf.au. The goal is to increase the volume and variety of bird song because both are indicators that the bird populations are doing well. Here are links to source code repositories. For those interested in learning more or helping improve the system, the Cacophony Project welcomes contributors!